SOPRANO UKULELE. MEDIUM GAUGE. GROUND NYLON TIE-ON. 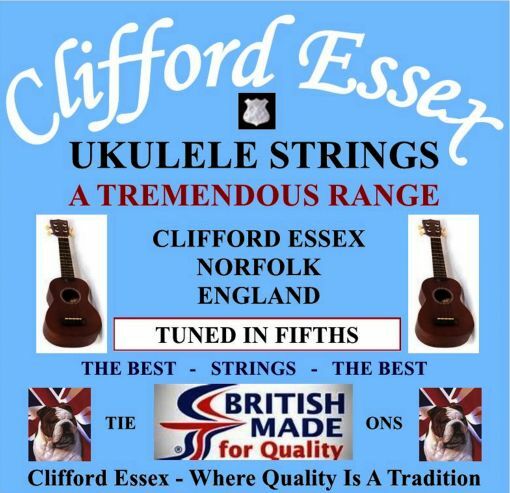 We offer a wide range of soprano ukulele strings including madium, light and heavy gauges. We also provide a set of soprano ukulele strings which will tune to a mandolin: G. D. A. E. If new to buying ukulele strings choose madium gauge. SOPRANO UKULELE. LIGHT GAUGE. GROUND NYLON TIE-ON. SOPRANO UKULELE. HEAVY GAUGE. GROUND NYLON TIE-ON. SOPRANO UKULELE. TUNED G. D. A. E. DESIGNED FOR UKULELE PLAYING MANDOLIN PLAYERS. SOPRANO UKULELE. MEDIUM GAUGE. BLACK NYLON TIE-ON.